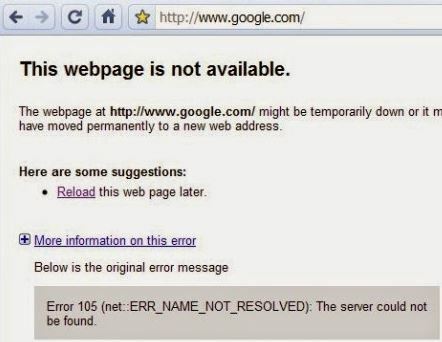 Error 105 is a common error which many users are facing while accessing a URL through Google Chrome. But let us know first what exactly is Error 105 so that you can get an idea of how we are able to solve this error. Error 105 is Google Chrome is a DNS Resolution Error which means your DNS or Domain name system tries to resolve the IP address of the website which you entered and if Goocle Chrome is not able to access the DNS server of the URL entered you will be getting the Error 105 on your screen. Check whether you are able to access other websites from Google Chrome browser or you are facing the same error 105 with other url’s as well, in which case it is a problem with your internet provider so make sure that your internet connection is proper before going ahead. 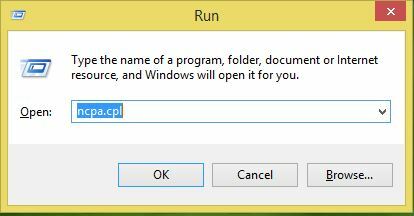 You can find the “RUN Dialog” box in settings or you can press Windows Key + R to launch t he Run box. Now you have to access Network Connections -> Wireless Network connection (in case of Laptops) or Local Area Connection (in case you are accessing through Data Cable in PC/Laptop) -> you have to Right Click one of the two options depending on your internet connection. Now in the pop up box you can see that Obtain IP Address automatically and Obtain DNS server address automatically here you have to select Use the following DNS Server addresses in which you will be seeing Preferred DNS server and Alternate DNS server already entered and Click on “OK”. Now you can go back to Google Chrome and try to access the url which was facing the Error 105. If you are still facing the error 105 after following these steps you have to follow the steps given below to change the IP Address and DNS server settings which are Free IP Address. Note: You have try this at your own risk. Hope these steps help and you can browse happily, do let us know in comments section if you found any other steps to solve this error so that we can share it with others to help them.